Johannes Brahms Gesellschaft Hamburg Internationale Vereinigung e.V. The Johannes-Brahms-Association was founded in Hamburg in 1969. 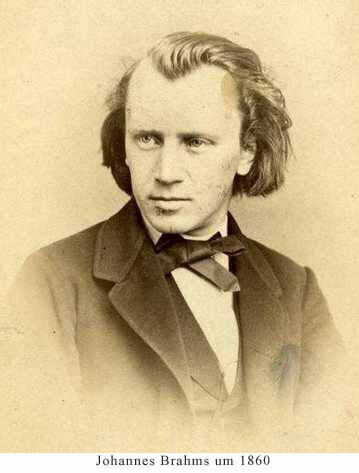 It serves to the memory of Johannes Brahms and promotes national and international research into Brahms’ life and music. The Association holds in its possession Brahms memorabilia, writings, facsimiles, musical artefacts, and photographs, all of which are on display in the Brahms-Museum in the Komponisten-Quartier . The Brahms-Museum is located in Peterstraße 39, in an 18th-century building restored by the Carl-Toepfer-Foundation. This is quite near to the location of Johannes Brahms’ birth house, which was destroyed in the course of WWII. The Brahms-Museum also has an reference library which is available for consultation and study purposes. Within the scope of scientific Brahms research, the BRAHMS STUDIEN (periodical) contains musicological analysis as well as articles on the life and work of the composer. Volume 17 of the BRAHMS STUDIEN appeared in 2014 while Volume 18 will be published in 2018.